A teenager has told how be secretly got vaccinated against the wishes of his parents, who he claimed believed debunked anti-vaccine "conspiracy theories", they read on the internet. 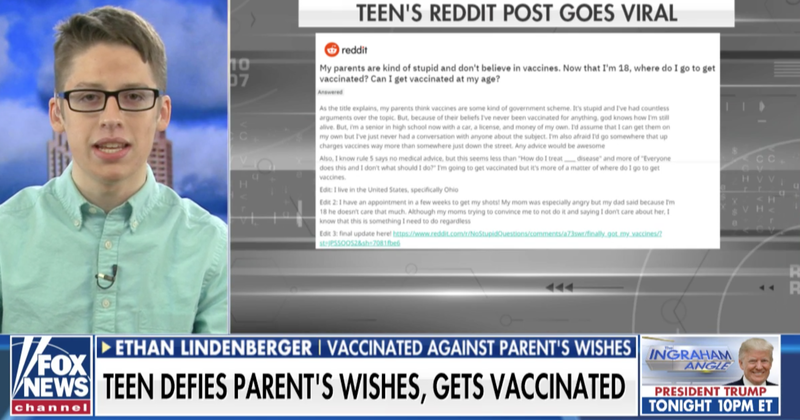 Ethan Lindenberger, 18, appealed for help on a Reddit forum, asking which vaccines he should obtain as he said had never received any, because "my parents are kind of stupid and don’t believe in vaccines". "God knows how I’m still alive", he wrote.